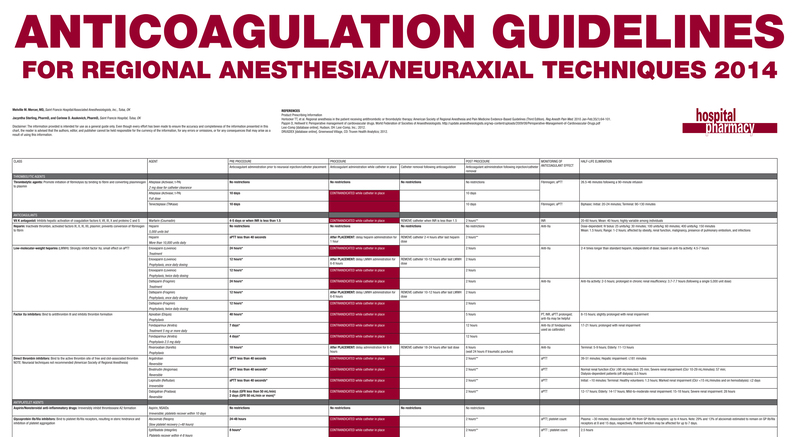 Dimensions: 32" x 22 1/2"
Use of anticoagulants, thrombolytics, and antiplatelet agents prior to, during, and after surgical procedures, including those that involve neuraxial techniques. 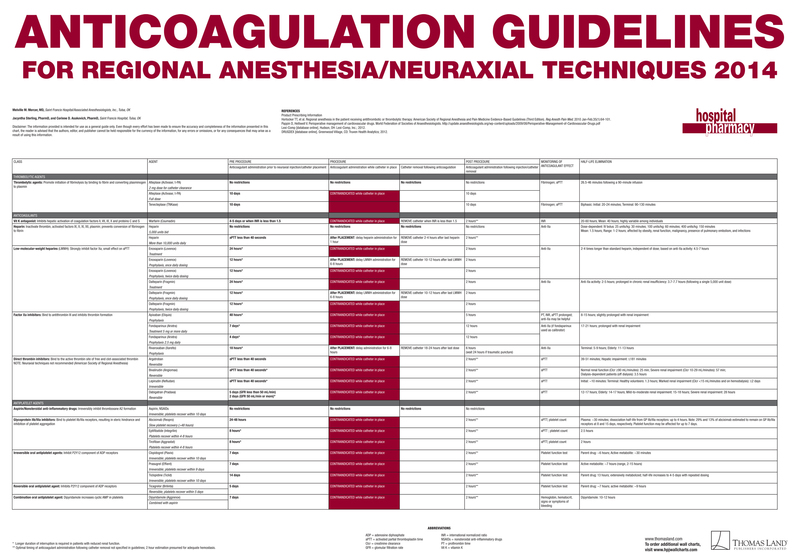 Also suggested laboratory tests for monitoring anticoagulation therapy. © 2014, Thomas Land Publishers, Inc.